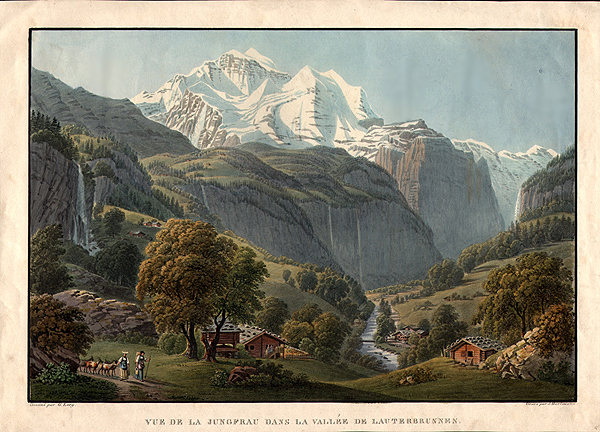 Vue de la Jungfrau dans la Vallée de Lauterbrunnen. Aquatint with hand colouring. 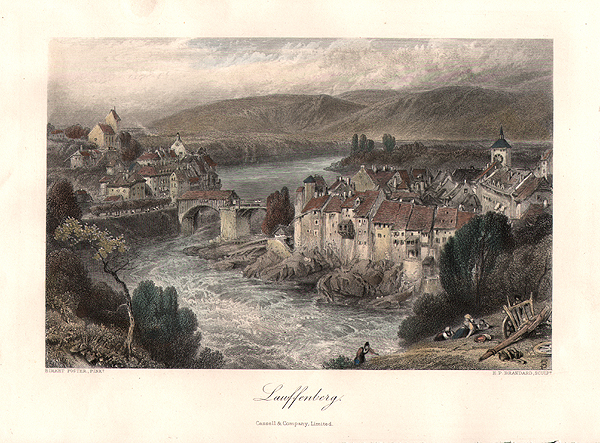 Drawn by Gabriel Lory (1763 - 1840) and engraved by Johann Hurlimann (1793 - 1850). 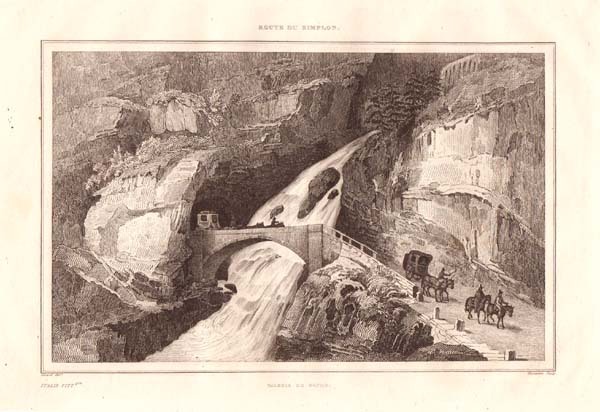 An antique line engraving by Dunaime after Girard. Circa 1838. 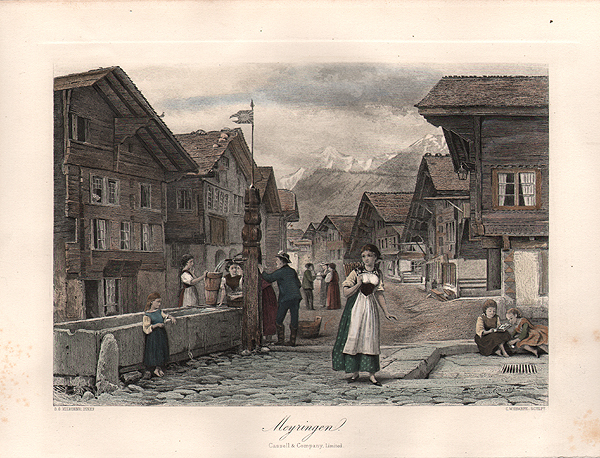 An antique line engraving by J. Stephenson after Myles Birket Foster. Circa 1870. Later coloured by hand. 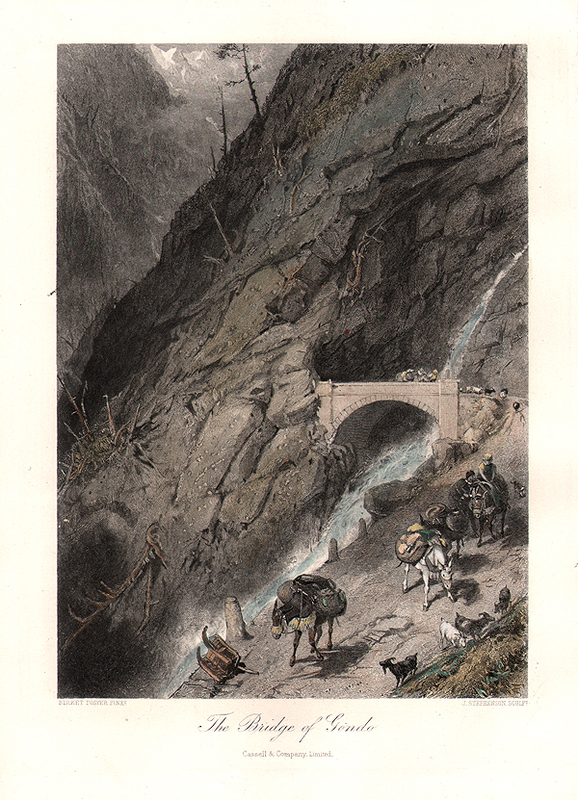 The Tunnel of Gondo on the Napoleon Road over the Simplon in the Alps. An antique line engraving by Brockedon J.G. Mardinin. Circa 1850. An antique line engraving by E. P. Brandard after Birket Foster. Circa 1870. Later coloured by hand. An antique line engraving by C.W. Sharpe after G.G. Kilburn. Circa 1870. Later coloured by hand. 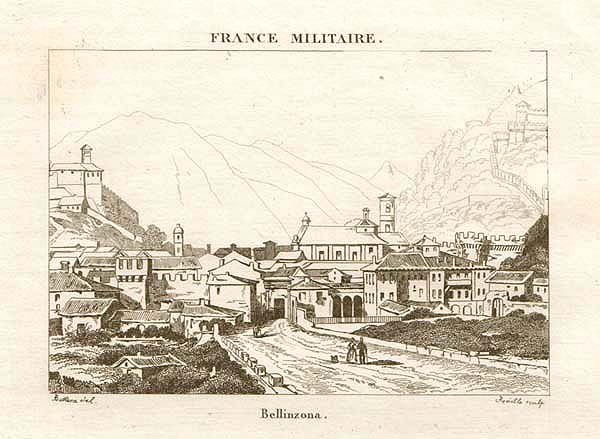 An antique line engraving of Bellinzona (Switzerland) drawn by Buttura, engraved by Réville. Circa 1835. Mill on the Lake of Lungern, Switzerland. 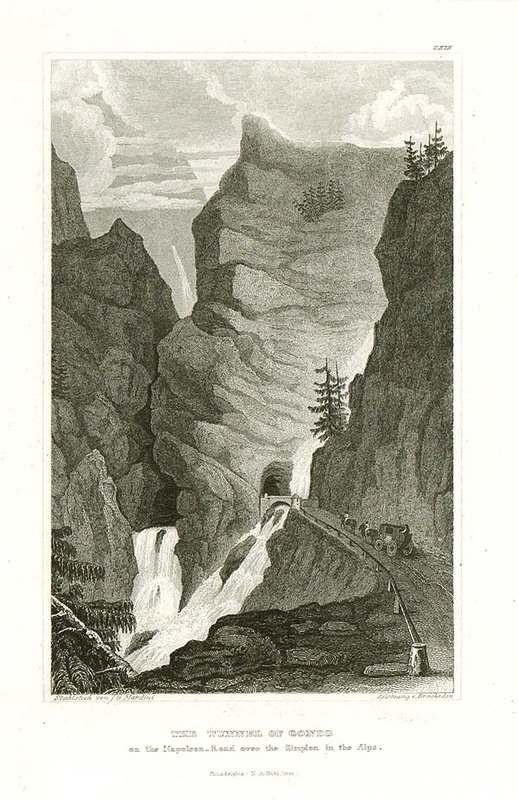 An antique line engraving by A.H. Payne from an original painting by G. Balmer. Published in 1834. The colouring is later. William Tell Chapel, Lake of Geneva. An antique line engraving by A. H. Payne from an original drawing by G. Cattermole. Published in 1834. The colouring is later.